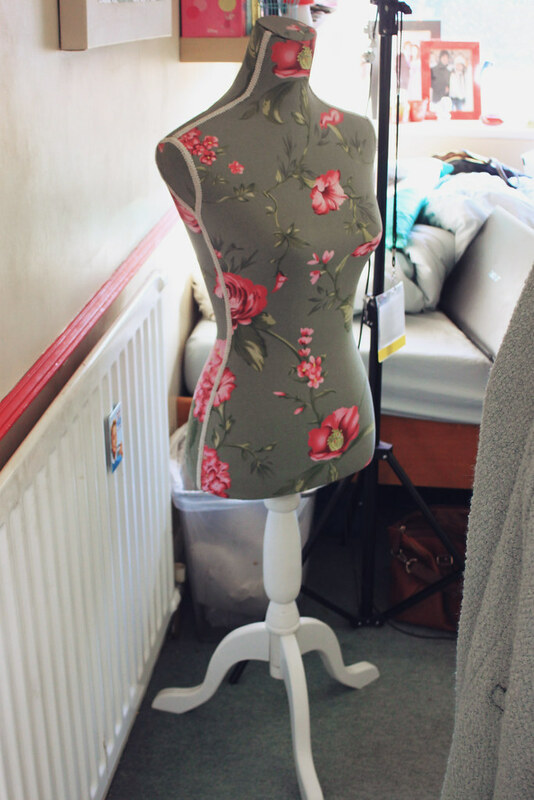 When Out There Interiors contacted me asking if I'd like to review an item of decor from them, I jumped at the chance to have a dressmakers mannequin. The idea of having a pretty mannequin in my bedroom makes me think of a vintage Parisian fashion week, designers flying around behind the scenes of a Chanel show,or something similarly as glamorous! The mannequin itself is gorgeous and I've decided to name it Maud. She was easy to put together and very sturdy. For now, she is just decoration, but I may also use her to photograph clothes, plan outfits and hang bags/jewellery on- who knows yet! I thought I would also include some other little decor bits that are currently adorning my bedroom at the moment. The teeny tiny espresso cup and saucer came from a charity shop and I love the pattern on it. The teapot and cup set also came from a charity shop, although it was a gift, and I just adore the mother of pearl-esque over lay on it. I love searching through charity shops for trinkets and decor bits- especially crockery. You can find some real bargains and all the money goes to a good cause! Are you a fan of my vintage inspired decor?